Does your winter heating bill induce tears? Does your stomach churn when you find it inside your mailbox? Brace your home for the season, and cut down utility charges in the process. Preserving the integrity of your structure is the number one way to combat the cold. Try these five techniques to protect both your home and your wallet. Be proactive, and hire a technician to examine the condition of your furnace or heat pump. By ensuring its efficiency with regular maintenance, you will minimize the hefty price tag on serious repairs down the line. You should have professional diagnosis and service at least once a year. They will look for obstructions or build-up in coils/filters, verify airflow and refrigerant charge, seal duct/refrigerant leaks, tighten electric terminal connections, lubricate motors, and inspect belt wear. When heat escapes your roof and melts snow, the meltwater flows down and refreezes near the edge to form icicles and ice dams. The ice then thaws beneath shingles causing damage and eventual roof rot. Properly sealing your attic can also combat energy loss. According to HouseLogic, we forfeit 30% of our energy to air leaks (roughly $300 per year). The average homeowner spends between $800 and $3,000 to insulate an attic. Use a programmable thermostat to save on fuel costs. It lowers the temperature during the day while you work or at night while you sleep. The automatic regulator also conserves by maintaining a consistent temperature; it's like cruise control for your home! They can trim about $200 off your annual spending. 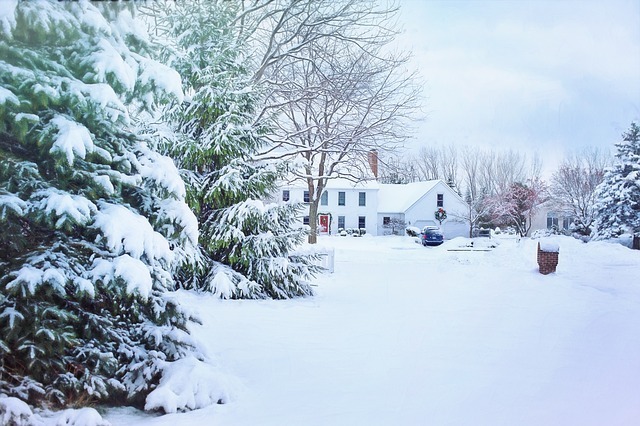 Eliminate drafts, and keep your warm air inside by weatherstripping all doors and windows. Fix any gaps larger than a penny with window-glazing putty or caulk engineered to withstand the elements. Draft stoppers block the chill from further creeping into your floors. We often forget doggy doors, but warm air can escape from the smallest of breaches. Amass snow storm essentials before the season hits hard. Due to supply and demand, stores will raise the price of fundamental items as the need for them grows. Restock your salt and ice melt, and double-check that your snowblower works. It never hurts to own several quality shovels, either.